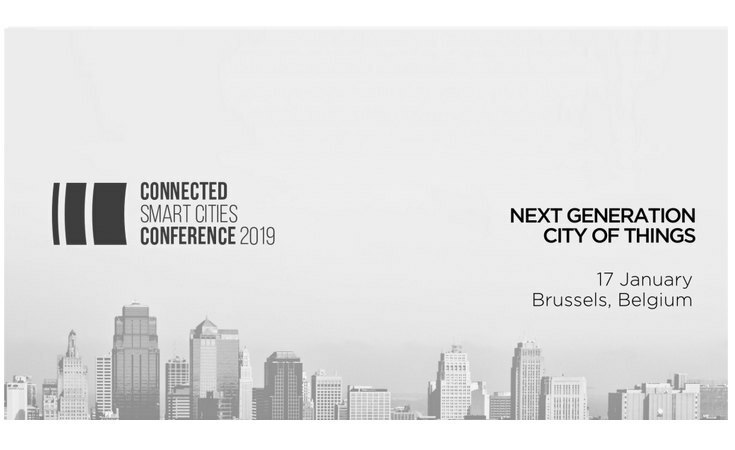 On 17th of January 2019, the Connected Smart Cities Conference 2019 has been taken place in Brussels. The connected Smart Cities Conference (CSCC) is the place for cities, policy-makers, researchers, and businesses to come together and to connect to the forefront of human-centric societal development of technologies, markets, and policy in the 21st century. In four tracks – Tech, Future, Green, and Funds – innovative minds will learn and discuss how to open standards and minimal interoperability mechanisms support cities and businesses alike to create an open and global smart city market for data and services based on cities’ needs. The Connected Smart Cities Conference is organized by Open & Agile Smart Cities (OASC), a network connecting more than 120 cities on three continents. AIOTI’s Chair Kees van Klauw have moderated the Panel discussion. AIOTI’s Board Member Tanya Suarez moderated “Session 2: Future tracks – the next generation city of things”, where Nuria de Lama Sanchez (ATOS) was invited speaker. Martino Maggio (Engineering) moderated “session 5: Tech Track – Interoperability mechanisms in practise”, where Juan Gato (ATOS) was invited speaker.